Prague used to have once a very interesting Jewish life, but after the horrors of the WWII, the city is left mostly with the memories of the Jewish quarter. 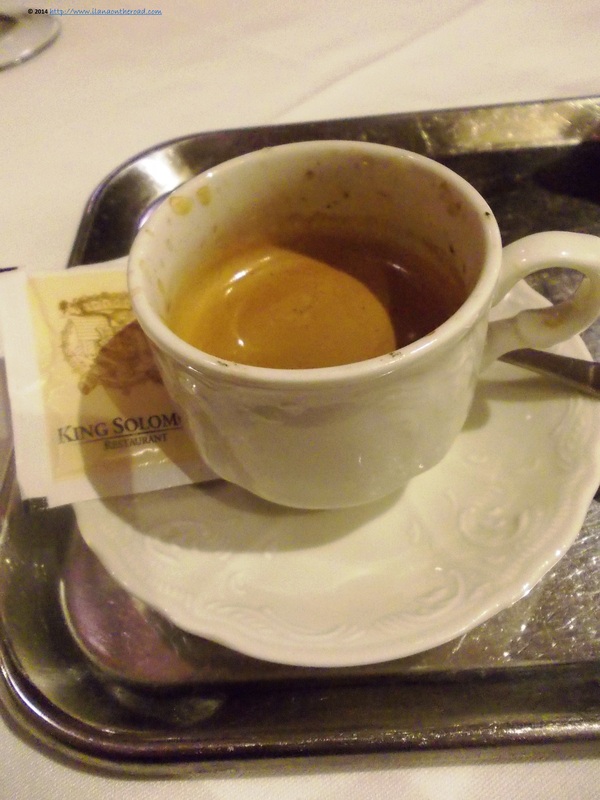 But compared with many other places in Eastern Europe, there is a kosher restaurant, although not a kosher shop any more and after walking for hours around the Jewish quarter, we knew where will be our last stop in the area: at King Solomon restaurant. After unbearable cold - for me -, we were welcomed by a friendly warm ambiance, with walls reproducing the typical Jerusalemite bricks and photographies from the old times. Besides the main area the entrance, there is also enough place on the veranda. Fridays evenings is time for Kabbalat Shabbat and I can figure out the joy that can conquer the quiet place at least once in a while. 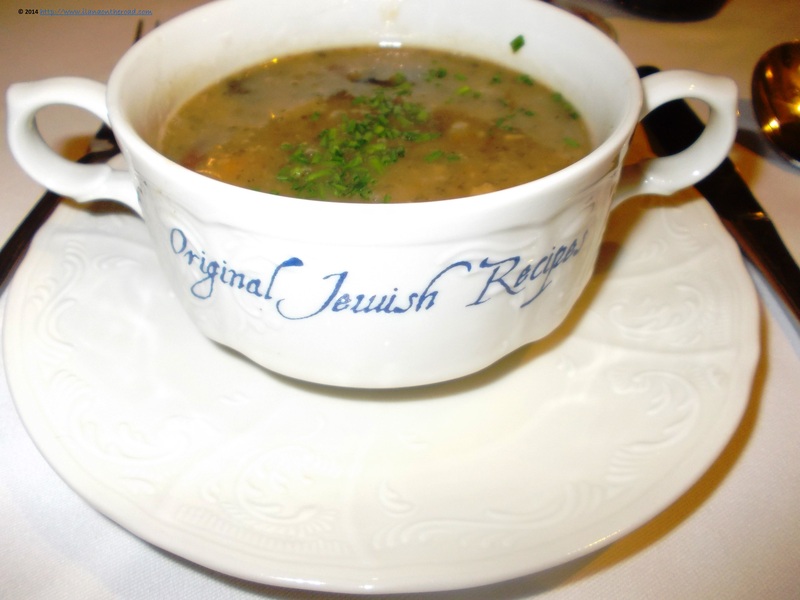 The menu includes typical Askenazi (Central and Eastern European) foods, many adapted from the Czech cuisine to the standards of kashrut. Unusually for me, I started with a soup hoping to feel less frozen: I was brought a combined Hungarian-Czech recipe of beans with beans and mushrooms. 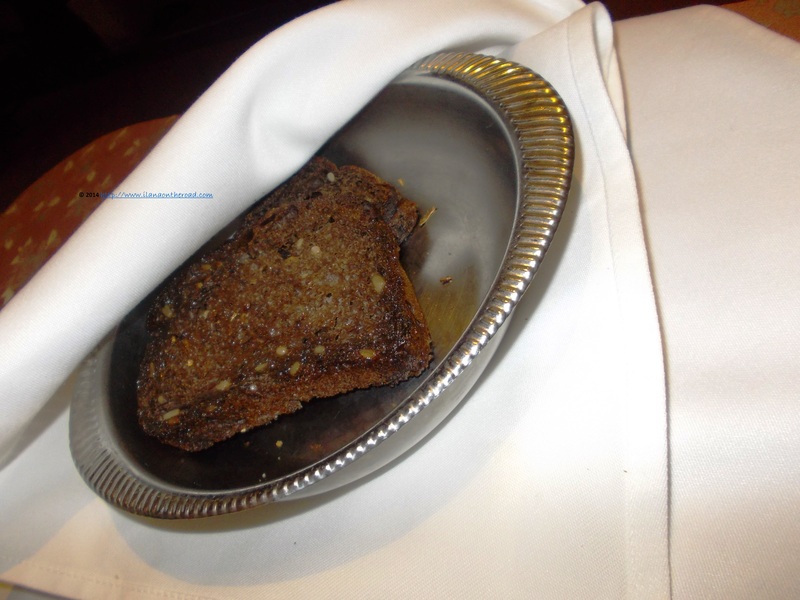 The rich soup was accompanied by a typical Czech black bread, a bit too oily for me, but good to try at least once. After all, I needed a lot of energy to continue the adventure in the city. While waiting for my second meal, my classical choice of schnitzel with cucumbers and French fries, I chat with the owner, who is telling me snapshots from the history of the restaurant. He seems to know everything going on in the Jewish Prague, from the Jewish learning to booking tours and where one can find a minyan to pray. Especially when you are visiting from afar for the first time, it's good to find the good resources fast, and when the information can be delivered in both English and Hebrew, it is even better. 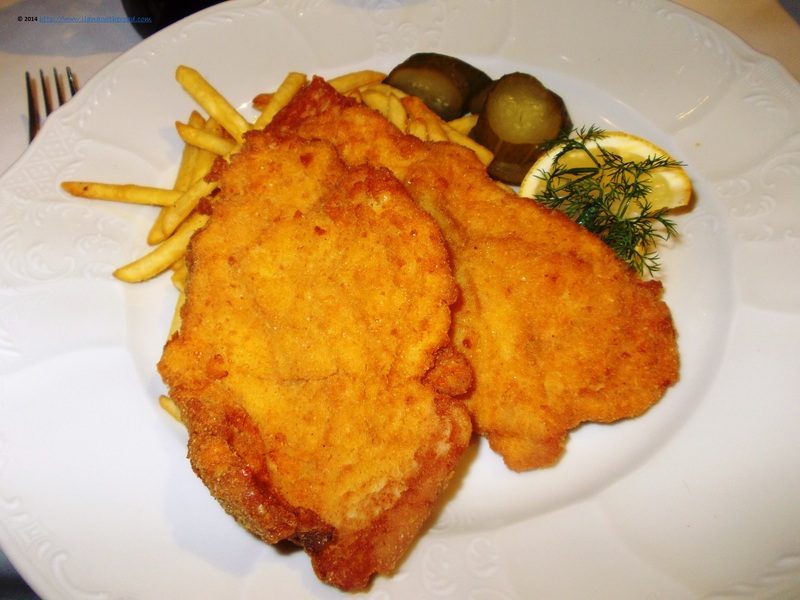 Wish I am not that hungry but the smell of my modest schnitzel cut short my appetite for talking. For the next minutes I am quiet and happy with my big portions. Before the dessert, I want to try the coffee and I am pleasantly surprised to taste a delicious Turkish coffee, while listening to the Askenazi melodies. 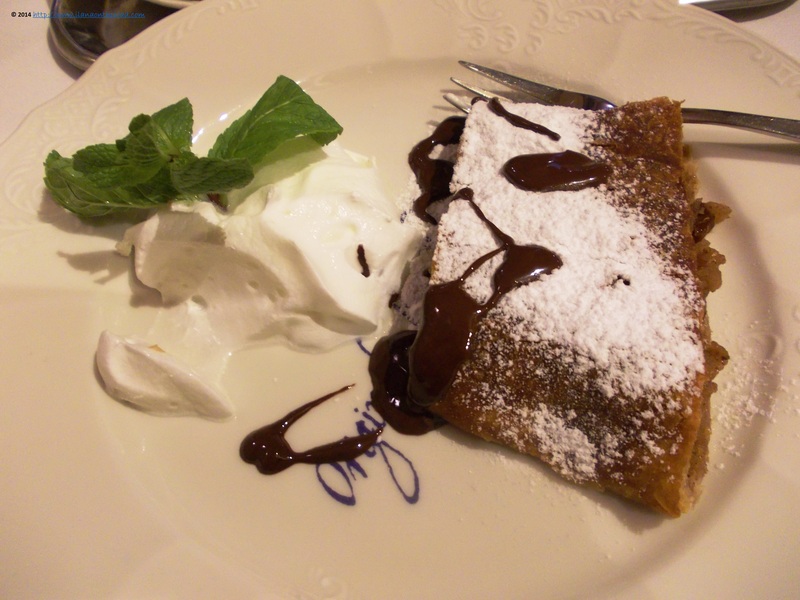 More students and young people visiting Prague are coming, speaking different languages, but happy to share the old heimishe (traditional) foods of the Eastern European cuisine. 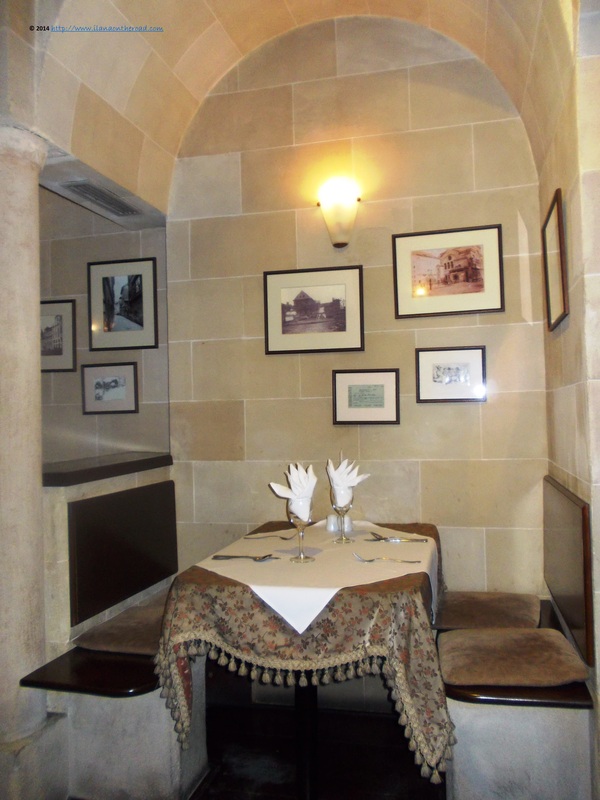 But the restaurant isn't popular only among the Jewish visitors coming to Prague. Michelle Obama liked here too, when she accompanied her husband during a state visit in the Czech capital a couple of years ago. And the final meal is here: Apple strudel with parve (non dairy) whipped cream. It looked good, but was a bit disappointed as the feuilletage tasted a bit old. Considering the good impressions beforehand, I may say that I was ready to live with it - or maybe to order a new schnitzel for compensation. Unfortunately, our busy travel schedule did not allowed us to include some wine from the impressive collection. For such experiences I need time and quietness. But we hope to be back again to Prague soon, maybe we will find some time for a proper wine tasting. As for the prices, used with the overall high prices of kosher restaurants in Europe, we were more than surprised to discover that for my full menu, the price was only a bit over 20 EUR. I bet it can't be better than that.